Collagen is the richest protein in human body. There is about 3 kg collagen in the body of an adult. 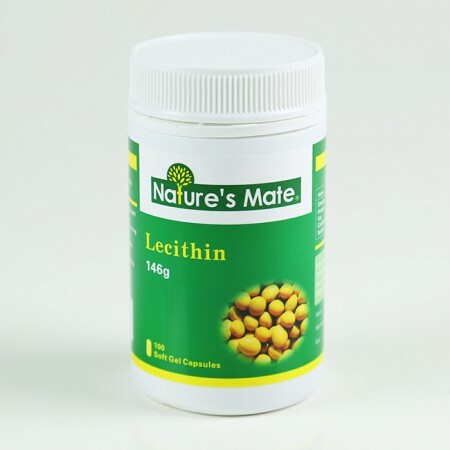 Its main function is to sustain the shape and structure for skins and tissues. 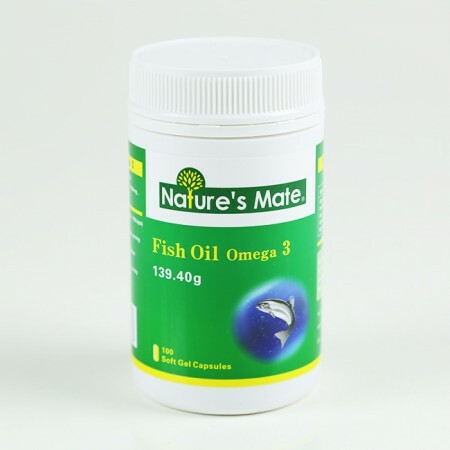 It is a major raw material to fix damaged tissues and an essential element for extracellular matrix. 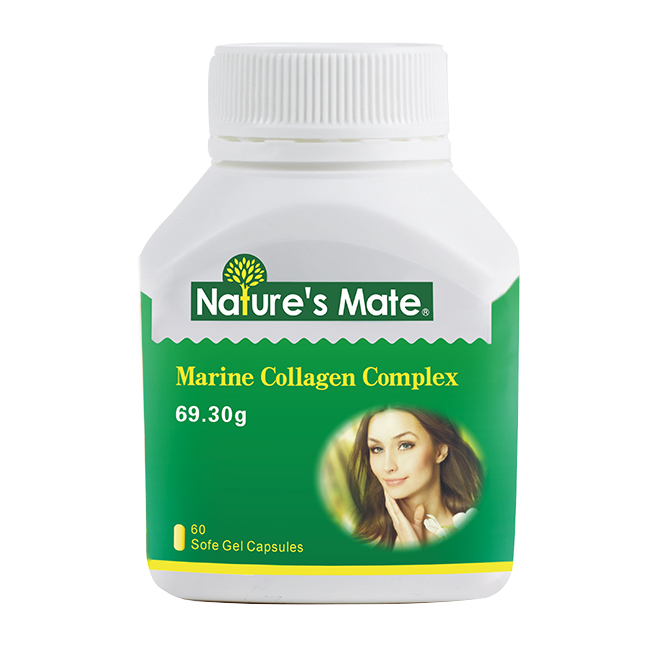 If someone is lack of collagen, his or her skin and bone problems would emerge. Internal organs would be negatively affected as well. 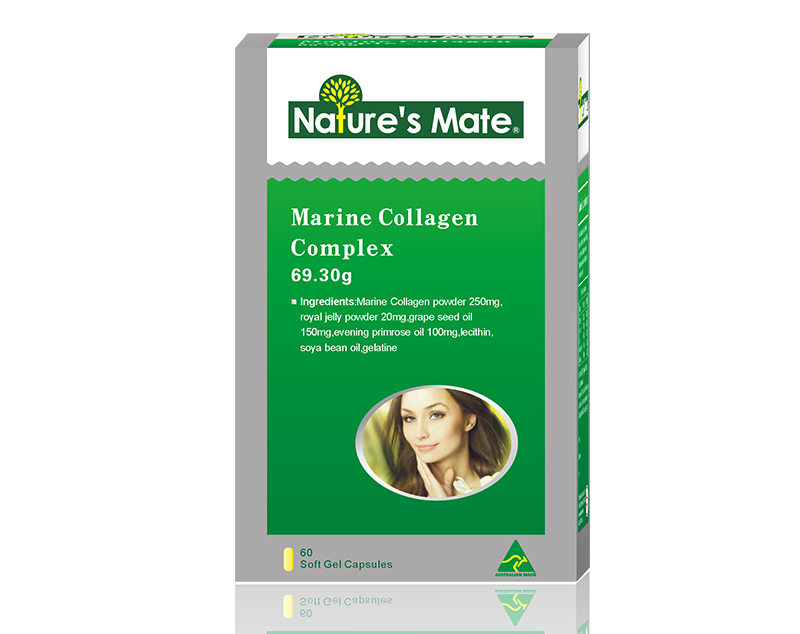 The main ingredient, collagen, of Nature’s Mate Marine Collagen Complex is extracted from precious marine life in Australian pure and pollution-free ocean. The product has lots of features, for instance, it enhances metabolism, preserves moisture and modifies dry and coarse skin so that you can get well developed cells, narrowed skin pores, elastic and invigorated tender skins, increased skin tightness and smoothed wrinkles, and it is especially effective for skins around the eyes and the mouth corner. There are another three precious ingredients to help build better skins in the product. Evening primrose oil can enhance the regulation of female hormones. Red grape seed can help the resolving of melanin so as to reach white skin. 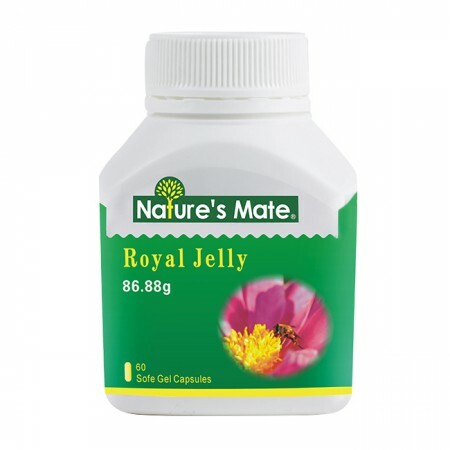 Royal jelly powder can promote the skin nourishing to fight against aging. Such complex brings multi-effect. It allows the collagen to be quickly absorbed by mucosa and subcutaneous tissue. Meanwhile, by regulating female endocrine, it promotes vitality and health of your body. The effect of improvement on skins is well achieved entirely. Preserve moisture, smooth away wrinkles, repair and renew skins. Resist skin pigmentation and slow down aging. Reinforce the gloss of hair and reduce faulted fingernail. Enlarge breasts in a natural way. Ladies suffering from injured skin led by improper skin care. 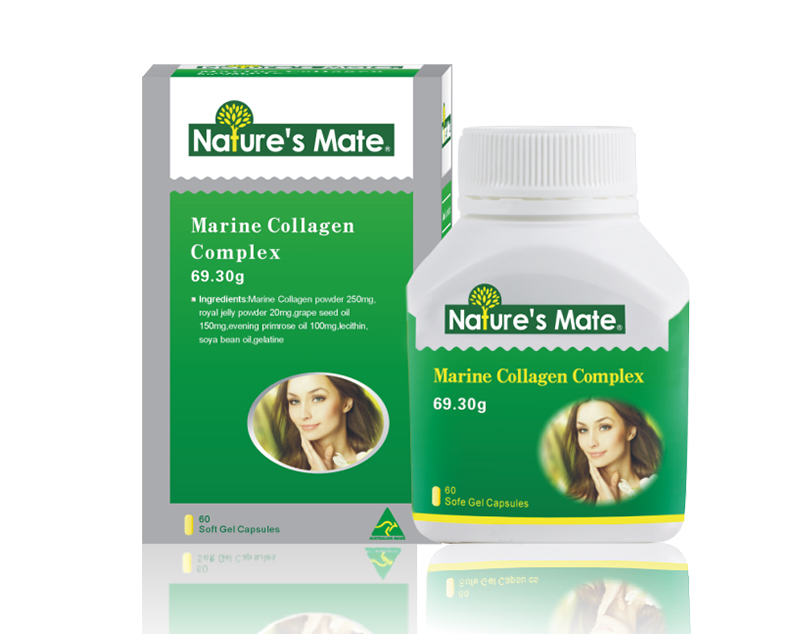 It would be best to take collagen on an empty stomach to increase absorption. 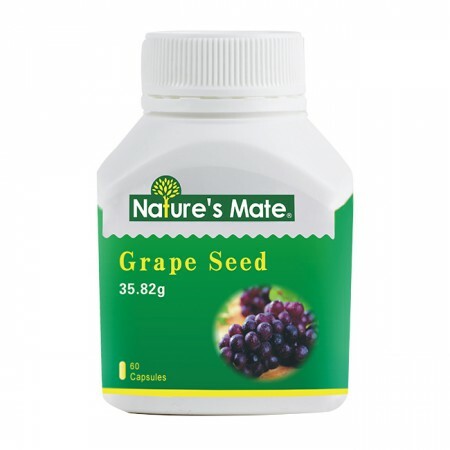 It is preferred to take together with vitamin C or grape seed because of their promoting effect on absorption. Meanwhile, they can promote the compounding of collagen in human body so as to amplify its effect. Patients who have uterine fibroid, lobular hyperplasia, hyperthyroidism, or hyperplasia diseases should be used with caution. One use per day; 1 softgel per use; before bedtime.